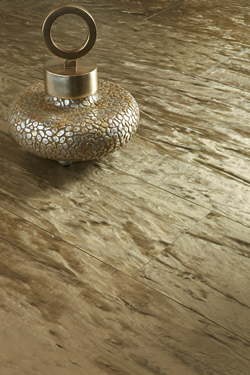 Stria is manufactured using a process that results in a product where every tile is different. Metallic pigments add visual depth and dimension. It is manufactured with recycled material equaling more than half the total product. Available in eight colorations and various sizes with a 20-year commercial wear warranty.